Beautifully reupholstered pair of armchairs. 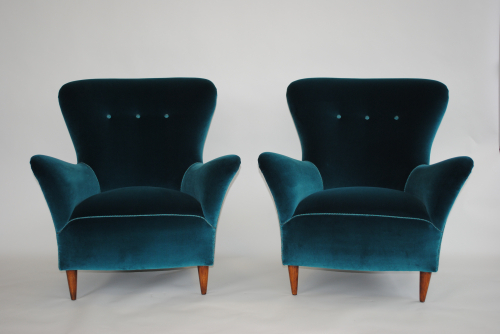 Emerald green velvet with back and sides in Le Lievre fabric. Lovely shape and very comfortable. Width 80 cm at front across the arms. 70 cm at the back. Seat 50 cm deep and 48 cm wide.